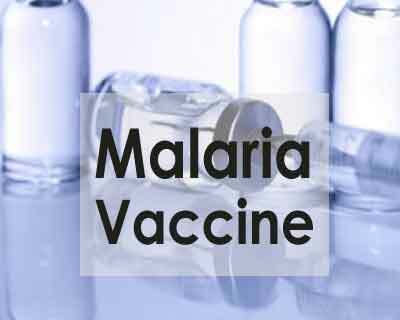 London : Researchers have developed a malaria vaccine that has been found to offer mice protection against the disease for more than a year. By identifying and deleting one of the genes of Plasmodium, the parasite responsible for the disease, the scientists enabled it to induce an effective, long-lasting immune response in a mouse model, showed the study published in the Journal of Experimental Medicine. The team led by Salaheddine Mecheri from Pasteur Institute in Paris, France decided to take an original approach to attenuate parasite virulence for effective vaccine development. The scientists genetically modified strains of the Plasmodium parasite by deleting the gene that codes for the HRF (histamine-releasing factor) protein. The resulting mutants, which no longer expressed HRF, proved to be highly effective in triggering a potent immune response. The absence of HRF boosted the production of the IL-6 cytokine, known for its ability to stimulate the immune response, in the liver and the spleen. This conferred mice with protection from any potential reintroduction of the Plasmodium parasite, including highly virulent strains. This protection was long lasting as it was maintained for more than a year, suggesting that a long-term immunological memory had been established, the study said. The protection was also effective against all stages of the parasite’s life cycle. Use of this target gene, or a similar strategy to stimulate immunity, could lead to the development of effective, long-lasting live vaccines for malaria, the researchers said. “In recent years, the vaccine strategy of choice using live, genetically attenuated parasites to combat malaria has received renewed interest. The HRF mutant is a promising prototype in this respect, offering a rapid, long-lasting and wide-ranging protective effect,” Mecheri noted. Despite increased prevention and eradication efforts over the years, especially targeting mosquito vectors, malaria remains the parasitic disease that poses the biggest threat for the world’s population. Approximately 214 million cases and 438,000 deaths from malaria were recorded in 2015, mostly children under the age of five and pregnant women, according to the World Health Organisation.